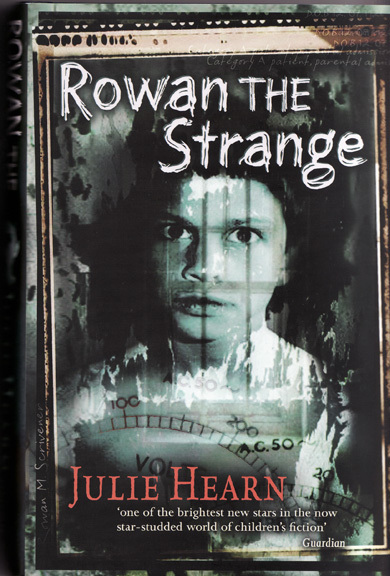 The cover for Julie Hearn’s book Rowan The Strange published by Oxford University Press is based on a photo I took several years ago of my youngest son. It’s always great to get an image published somewhere different and while I’ve had my own books published and have had a number of writer portraits used for book covers this is the first book cover from a photograph of mine. The image was chosen from a British/Spanish agency I have some photos with, Arcangel. Here’s arecent review of the book from the Guardian. I’m not sure if a North American edition has been released but the British edition is easily available/ordered through your local bookstore. Another photo of my son was used on a Dutch version of a Hugo Hamilton book. I’m not sure what the English version was titled as my Dutch is nonexistent. Cool. Eerie cover photo on Hearn’s. Would love to see the original. Was it in black & white, too? Yes, eerie. And very beautiful.